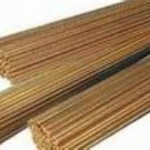 UNS C65100 low silicon bronze alloy has good corrosion resistance and moderate strength. 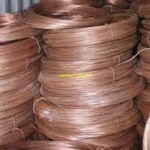 Applications and properties of this alloy are similar to that of UNS C64200 copper alloy. Good to excellent corrosion resistance. Excellent hot and cold workability. Fabricated by forming and bending, heading and upsetting, hot forging and pressing, roll threading and knurling, squeezing and swaging. 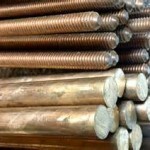 hydraulic pressure lines, anchor screws, bolts, cable clamps, cap screws, machine screws, marine hardware, nuts, pole-line hardware, rivets, U-bolts, electrical conduits, heat exchanger tubing, welding rod. B-315 SEAMLESS PIPE & TUBE 1/8 - 12"